MIT’s Taylor Fravel lays out some possible trends as China transitions to new leadership. Following the conclusion of the 18th Party Congress, a new Politburo Standing Committee, the top leadership body of the Chinese Communist Party, has been named. Much of the recent commentary has revolved around whether or how China’s new leaders will pursue much-needed economic and political reforms. An equally important question concerns the future direction of Chinese foreign policy under Xi Jinping. To repeat Zhou Enlai’s assessment of social upheaval in France in 1968, it is “too early to say.” Very little – if anything – from the backgrounds of these individuals can illuminate whether China will adopt a new approach to foreign relations in the coming five or ten years. An assessment of China’s foreign policy under Xi is “too early” for several other reasons. 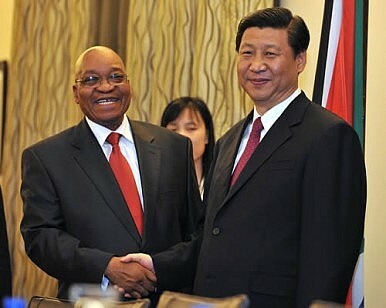 Although general secretary of the party, Xi Jinping will not become head of state, or president, until the National People’s Congress in March 2013. In addition, who will hold key positions in China’s foreign policy system (waijiao xitong) remains unknown. The most important vacancy to be filled is the director of the Central Foreign Affairs Office (zhongyang waishi bangongshi). The post is currently held by Dai Bingguo, who is China’s highest-ranking official in foreign policy after the party’s general secretary. The CFAO coordinates policy within the party-state bureaucracy, always a challenge, and provides research and advice on foreign affairs to China’s top leaders. Other key posts to watch are the foreign minister, the head of the Taiwan Affairs Office and the head of the CCP’s International Liaison Department. Finally, Xi and the new Politburo Standing Committee may not launch new initiatives of their own for perhaps one or two years – once key positions are filled, working relationships are formed among the new leaders, and power is consolidated. In this context, the best clues to Chinese foreign policy under Xi Jinping may be found in the lengthy work report that outgoing general secretary Hu Jintao delivered at the opening of the party congress. Despite being laden with socialist slogans and Chinese political jargon, the report both sums up what the party believes has been achieved since the last congress and outlines principles to guide the party’s work until the next congress. Consistent with past practice, Xi Jinping as incoming general secretary oversaw the drafting of this year’s report. The report has a mixed-message on foreign policy issues. On the one hand, the report underscores that China will continue to press ahead with policies that have raised anxiety and concern in East Asia. In the section on “ecological progress,” Hu Jintao called for China to become a “maritime power.” In particular, Hu said that the party “should enhance our capacity for exploiting marine resources, develop the marine economy, protect the marine ecological environment, resolutely safeguard China's maritime rights and interests, and build China into a maritime power.” In other words, expect greater Chinese activity in maritime Asia, including increased fishing and perhaps hydrocarbon exploration in disputed waters and a growing presence of the civil maritime law enforcement agencies, including the China Marine Surveillance force, the Fisheries Law Enforcement Command and the Maritime Safety Agency. The phrase “new type of relations” (xinxing daguo guanxi) echoed language that appeared for the first time in Hu Jintao’s speech at 4th U.S.-China Strategic and Economic Dialogue in May 2012 (which was swamped by attention to the Cheng Guangchen case.) The core of the concept is a recognition of the security dilemma and the need to avoid conflict typically associated with power transitions in world politics. Although it remains a work-in-progress, the inclusion of this new phrase in the work report of the congress indicates the priority that has been attached to developing it. Given the clear implications of conflict between the U.S. and China for the region, this aspect of the report is noteworthy and encouraging. Finally, the work report underscores the dominance of the most important factor in China’s foreign policy: domestic politics. Only about 10 percent of the report addressed externally-related issues (i.e, defense policy, Taiwan and foreign policy). The remainder emphasized the economic and social challenges that the party must confront – roughly matching perhaps the amount of time that China’s top leaders spend on foreign affairs. In this sense, Chinese foreign policy under Xi Jinping is likely to remain inherently reactive and not proactive. M. Taylor Fravel is an Associate Professor of Political Science and member of the Security Studies Program at the Massachusetts Institute of Technology. He can be followed on Twitter @fravel.